Having fine hair can be a double-edged sword. On the one hand, it’s usually super easy to style; on the other, it’s prone to looking a bit, well, flat. For some of us, no amount of tousling, teasing or firm-hold hairspray can keep our locks from looking limper than an under-watered house plant by the end of the day. First things first, let’s clear up the confusion around fine and thin. If you have fine hair, the individual hair strands are smaller in diameter compared to coarse hair. Conversely, if your hair is thin, it means there’s less density between the hair follicles. So, you can have fine hair that’s thick (meaning there’s plenty of it) and coarse hair that’s thin. Sometimes, thinning hair can be caused by a medical condition; if you’re worried that you’re losing hair too frequently, consult your GP. Fine hair tends to be a genetic trait, and unfortunately there’s no miracle potion that will fatten up those strands. But, if your tresses need a bit of oomph, don’t despair; get the big, bouncy hair of your dreams with our expert styling tips. Whilst it’s not advisable for anyone to wash their hair every day, fine hair does get greasy more easily. This is because there’s less surface area, so there’s more oil than there is hair to cover; even with the same amount of sebum production, fine hair that’s thin will appear greasier than thick hair. Secondly, the hair shaft is usually smoother and less porous than it is for coarser hair types, meaning that the oils sit visibly on top of the hair. As such, fine hair usually needs washing a little more regularly; you might find that leaving your hair to its own devices for more than a day or two just isn’t possible; dry-shampoo will work wonders on those in-between days. It’s also worth remembering that texture also makes a difference as to how greasy hair can appear after a few missed washes. Fine hair that’s wavy or curled will generally last longer before needing a wash; poker-straight hair is likely to appear greasy more quickly, since sebum is distributed easily down the lengths of hair rather than being kept near the roots. Whatever the texture, use a volumizing shampoo and conditioner to cleanse and hydrate the hair without weighing it down. Sulfate-free shampoos are designed to gently cleanse without stripping hair of its natural oils, or leaving build-up on the scalp. Texturizing shampoos are also good for fine, wispy hair; look out for one that’s designed to add volume at the same time to achieve textured, fuller-looking hair. Even fine hair that’s prone to becoming oily benefits from the moisturising effects of conditioner. Choose an ultra-lightweight, volumizing conditioner and apply it halfway down the hair through to the tips (avoiding the roots). If your hair is dry or damaged, mist over it evenly with a lightweight, leave-in conditioner after shampooing instead. It’ll restore your hair and protect it from future damage – without adding any unwanted weight. When you’ve got fine hair, it’s easy to want to grab every product under the sun but actually, less is more. 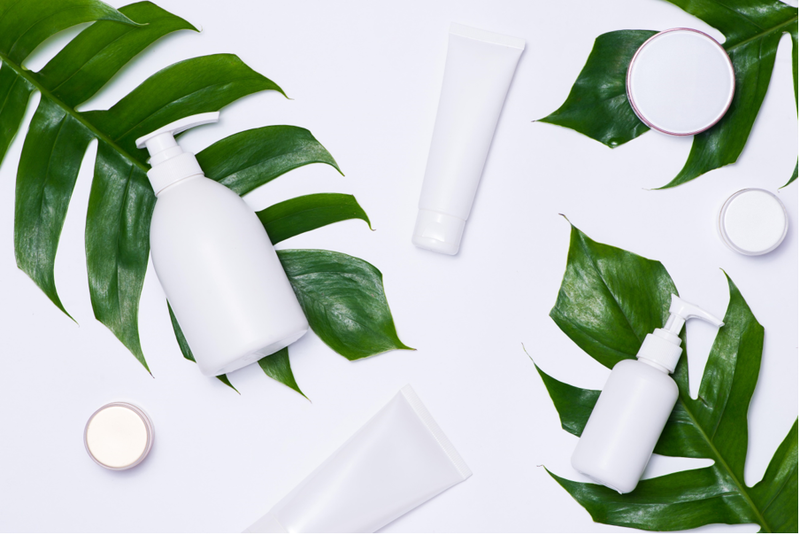 Styling products can weigh down hair just like cleansing products, so it’s important to use the right ones (and not a little bit of everything). When it comes to the best hair products for fine hair, look for so-called ‘hold products’ rather than oil-based products. Hair oil, for example, will only make fine hair appear greasy. Hold products include hair gels, pomades, dry shampoos, texturizing sprays and mousses. You should choose one or two styling products based on your hairstyle and texture. Hair gels, waxes or pomades are ideal for creating piecey, edgy looks and are best suited to shorter cuts; hair mousses help to define curly hair, whilst texturizing sprays and dry shampoos can be used to give most cuts a messy, matte finish. You’d be surprised at just how much a little volumizing spray spritzed into your roots can lift them. For the best results, you should apply when the hair is damp before blow-drying, then mist over with a texturizing finishing spray for a full-bodied finish that’ll hold all day. You can achieve more voluminous hair by simply switching up your blow-drying technique at home. 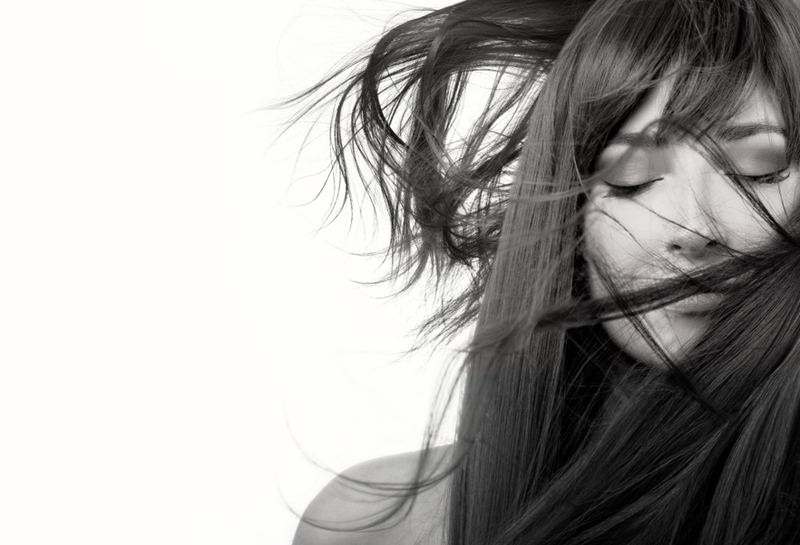 The main thing you need to do to create volume is to lift the roots; if you’re lacking the dexterity required to give yourself a salon-style blow-dry, flip your head upside down and dry it from that angle, or (if whipping your hair back and forth isn’t your thing), simply blow the air directly towards the scalp. Both of these techniques cause the root to stand up rather than falling flat against the scalp, which helps to create volume. Once your hair is about 80-90% dry, you can start to round-brush the hair. Make sure nozzle is fixed to your hairdryer and work in small sections. Choose a round, vented hair brush with natural boar bristles, as these are gentler on delicate, fine hair. When you’ve achieved a million-dollar bouffant, put the brush down; over-brushing can stimulate oils in the scalp and distribute them down the hair shaft – flattening your perfectly pouffed-up hair and sending you straight back to square one. Although it’s less likely to become dry, fine hair has a fragility that leaves it prone to breakage – simply because the individual hair strands are so much smaller. One of the easiest ways to ensure your hair stays healthy is by eating a balanced, nutrient-rich diet that’s chock-full of vitamins and minerals. Keratin, the fibrous structural protein that makes up our hair, is produced from the protein-rich foods we eat. Chicken, eggs and dairy products are great sources of protein, but those on a plant-based diet can get plenty of protein from legumes (i.e. beans and pulses) and nuts. An important mineral for our hair is zinc, since it keeps the oil glands around the hair follicles healthy. In fact, evidence suggests that a zinc deficiency weakens the protein structures of hair follicles, which can lead to hair loss. Low zinc levels can also cause flaking on the scalp, or slow down hair growth. Look out for foods high in zinc; oysters, spinach, beef and kidney beans are just a few examples. Iron is another dietary essential you need to get healthy tresses; iron deficiency – especially amongst women, is a known cause of hair thinning. Iron is an essential mineral that helps to produce haemoglobin, which allows red blood cells to carry oxygen and nutrients to your organs and tissues, including your scalp. A nutrient-rich blood supply is vital for follicle health and its ability to produce strong, healthy hair. Feed your follicles with leafy greens (such as kale or spinach), whole grains, lentils or meat and other animal products (like eggs and dairy). The right cut can make a world of difference to fine hair, whatever the length. If you’ve got fine hair but plenty of it, you can afford to add some strategically placed layers. Lightly layering long hair adds movement and creates the illusion of volume; weighty, one-length hairstyles will always appear flatter. Short or mid-length cuts offset fine hair, since they add bounce and don’t drag the hair downwards. Chic pixie cuts, bobs or on-trend lobs (long bobs) are ideal for making fine hair appear fuller; apply a volumizing spray to lift the roots when styling, or keep things matte and messy with pomade or texturizing mist. Need help deciding on which cut to go for? Find out which hairstyles suit your face shape. You can also create the illusion of depth and volume with the right hair colour; a multidimensional look with highlights or different tones applied to the hair sectionally will add movement. Speak to your colourist to find out which colour techniques could be used to add volume to your hair, based on its length, style and texture.